We recommend checking out our discussion threads on the CyberLink Director Suite 3 Student & DRS-0300-IWT0-00-EDU, which address similar problems with connecting and setting up Video Editing CyberLink. The user manual for the CyberLink Director Suite 3 Student & DRS-0300-IWT0-00-EDU provides necessary instructions for the proper use of the product Professional Video - Post Production - Video Editing. 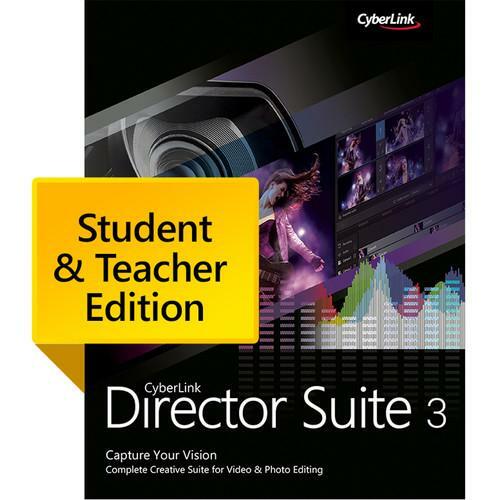 Combining four CyberLink programs and eight effects packages, the Director Suite 3 Student & Teacher Edition Software Bundle provides an editing solution for video, photography, and audio. This version is available at a discounted price for qualified students and teachers. 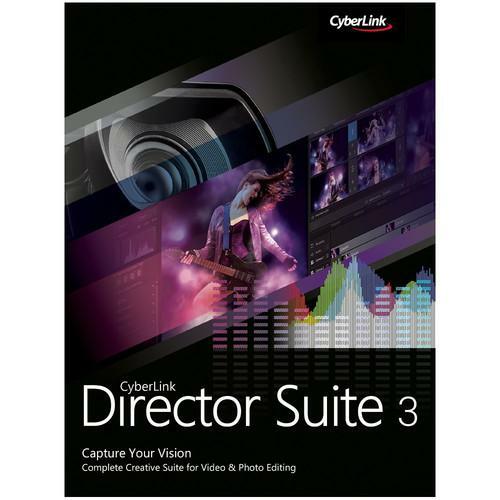 CyberLink Director Suite 3 is an electronic download that includes PowerDirector 13 for general video editing, ColorDirector 3 for stylizing and color correcting video, PhotoDirector 6 for editing photos, and AudioDirector 5 for recording and processing audio. Also included is a video effects package which provides useful templates, titles, and other effects as well as a year's subscription to CyberLink's Cloud service. If you own a CyberLink video editing and have a user manual in electronic form, you can upload it to this website using the link on the right side of the screen. Internet Connection Required for activating some import/export formats including AVCHD, Blu-ray Disc, DVD, H.264, & MPEG-2. Camera Support See manufacturer's website for an updated list of supported cameras/camcorders. Casio Hitachi mobile phones (in 3GGP2 format) This list consists of devices from major brands that were tested by CyberLink. However, the list is not comprehensive. If your device is not on the list, it may still be compatible with PowerDirector. The user manual for the CyberLink Director Suite 3 Student & DRS-0300-IWT0-00-EDU can be downloaded in .pdf format if it did not come with your new video editing, although the seller is required to supply one. It is also quite common that customers throw out the user manual with the box, or put the CD away somewhere and then can’t find it. That’s why we and other CyberLink users keep a unique electronic library for CyberLink video editings, where you can use our link to download the user manual for the CyberLink Director Suite 3 Student & DRS-0300-IWT0-00-EDU. 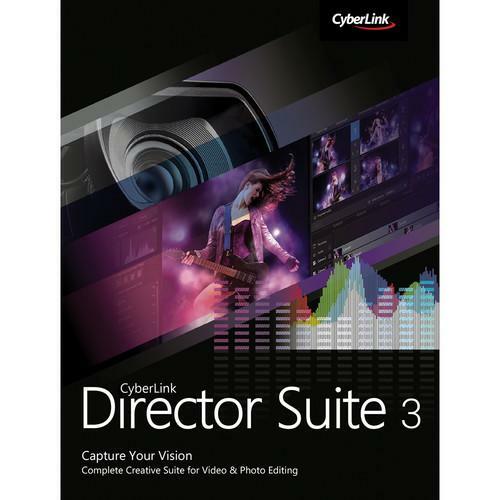 The user manual lists all of the functions of the CyberLink Director Suite 3 Student & DRS-0300-IWT0-00-EDU, all the basic and advanced features and tells you how to use the video editing. The manual also provides troubleshooting for common problems. Even greater detail is provided by the service manual, which is not typically shipped with the product, but which can often be downloaded from CyberLink service. If you want to help expand our database, you can upload a link to this website to download a user manual or service manual, ideally in .pdf format. These pages are created by you – users of the CyberLink Director Suite 3 Student & DRS-0300-IWT0-00-EDU. User manuals are also available on the CyberLink website under Professional Video - Post Production - Video Editing.